The Supreme Court on Wednesday dismissed a Petition seeking a direction that the hearing on the beef ban in Jammu and Kashmir be heard by a three-judge Bench of the high court at Jammu instead of the Srinagar Bench of Jammu and Kashmir High Court. The Petitioner, Parimoksh Seth, had sought the hearing be either held at Jammu or outside the State. In view of the conflicting orders on the beef ban passed by the Jammu and Srinagar Benches of the High Court, the Supreme Court had on October 7th asked its Chief Justice to constitute a three judges Bench to decide the issue. The observation of the Bench comprising Chief Justice H L Dattu and Justice Arun Mishra, came when the Counsel for the Petitioner, who had filed the PIL before the Jammu Bench of the High Court, said that there could be a law and order problem if matters are heard and decided at Srinagar Bench. Chief Justice of India HL Dattu said he had spoken to High Court Chief Justice N Paul Vasantha Kumar, who did not anticipate any problem if the hearing took place in Srinagar. Seth however, withdrew his petition following the CJI's remarks, with the liberty to approach the Supreme Court again in case of any problem or if he felt aggrieved by any subsequent order of High Court. 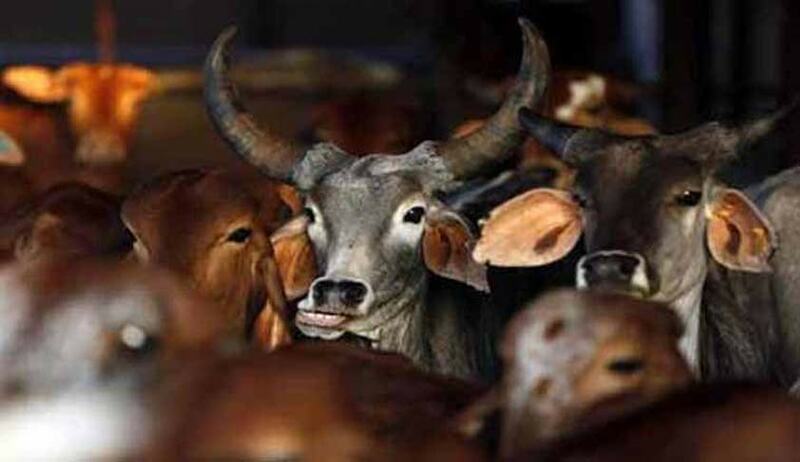 The High Court's Jammu Bench had on September 8th ordered implementation of Ranbir Penal Code (RPC) provisions banning cow slaughter and sale of beef in the State. However, a week later the Srinagar Bench of the High Court on September 16th had entertained a PIL seeking scrapping of the provisions in RPC banning cow slaughter and sale of beef. The High Court had also said that if the legislature wanted to scrap these laws, pendency of the petition would not be an impediment. The Apex Court on the matter hence requested the learned Chief Justice of the J & K High Court to constitute a Bench of three learned judges to take a decision on writ petitions, with the liberty to decide the place where the larger Bench will hear and decide together the two writ petitions. The Supreme Court's decision had come on the plea of the State Government which had said that the inconsistent views of the two benches of the high court were being ‘misused’ to disturb peace and communal harmony in the State.